Tooth decay starts by making the enamel slightly porous. It gets a frosty white appearance. The decay then progresses in the softer dentin of the tooth. It grows unseen until it gets large enough to undermine the enamel. 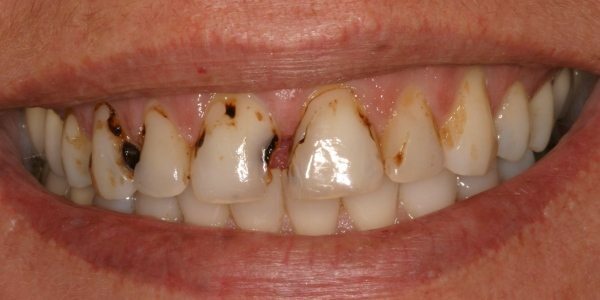 The enamel then caves in to reveal a brown decay area inside the tooth. The following pictures are of Trina, a patient treated by Dr. Sam Sadati. 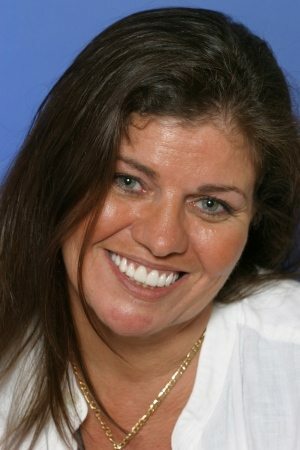 Dr. Sadati is a mynewsmile.com network dentist from West Palm Beach, Florida. 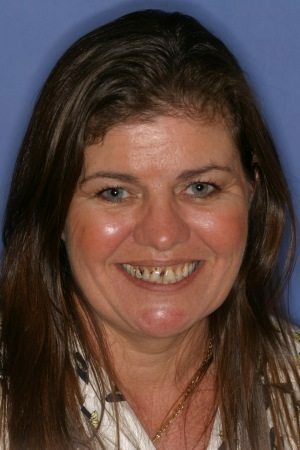 Trina had old fillings and unsightly tooth decay across her front teeth. We thank her for trying to smile in this picture. 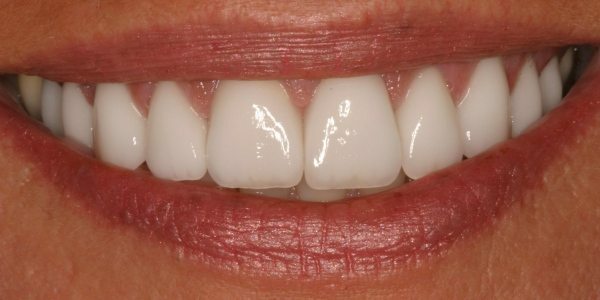 Her beautifully done porcelain crowns and veneers by Dr. Sam Sadati of West Palm Beach look so beautiful that you wouldn’t know they aren’t her natural teeth. If the cavities had been smaller, Dr. Sadati may have wanted to use direct dental bonding to restore the teeth. But when there is a substantial area of the tooth that is affected by the decay, porcelain is the material of choice, because of its strength and durability.